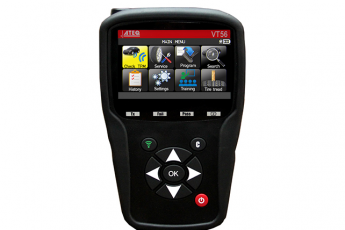 Livonia, Michigan: ATEQ is proud to announce the new July software release for the VT56. New screens added to encourage users to update his device if not updated during the last 4 months. Relearn procedures added in the following languages: French, Portuguese, Spanish. New sensor added: Dill 5001. 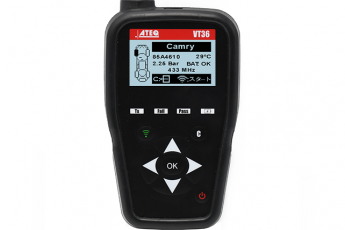 Updated OBD coverage added for Mitsubishi. Acura RDX, TLX; Buick Enclave, Encore, Envision, LaCrosse, Regal; Cadillac ATS, CT6, CTS, Escalade, XT4, XT5, XTS; Chevrolet Bolt EV, Colorado, Corvette, Cruze, Equinox, Express Series, Malibu, Silverado, Sonic, Spark, Suburban, Tahoe, Traverse, Trax, Volt;Dodge Ram; Ford EcoSport, Ranger; GMC Acadia, Canyon, Savana, Sierra, Terrain; Jeep Cherokee; Hyundai Kona, Ioniq; Nissan 370Z; Ram 1500 DT; Toyota Avalon, CH-R, Corolla; Volkswagen Jetta; Volvo S60, V60, XC60, XC90. 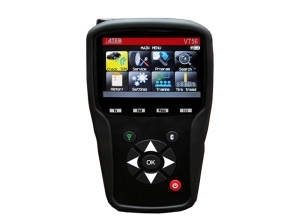 Alligator Sens.It, Schrader EZ sensor, Dill REDI-Sensor, HUF Intellisens, Hamaton Upro, Mobiletron, Orange Universal, BWD Standard QWIK sensor, NAPA QWIK, Steelman Select, PDQ Programmable, MAX T.O.T.A.L, and Dynamic Pro-Select.